Would Your Child Leave the Park with a Stranger? This #BBCtrending video nearly broke the Internet yesterday as Twitter and Facebook users were shocked at this experiment by Joey Salads. Would your child leave the park with a stranger? Despite parents arguing certain statistics, this video is unnerving. Cases like this are the reason our Burbank martial arts teachers are strong advocates for 'Stranger Danger' and Anti-Kidnapping Techniques in the Kung Fu kids program. From pre-school to adulthood, it's never too late to learn how to protect yourself from danger. "When I ask new students what a stranger is, they usually tell me that they wear black and are very sneaky. When I ask them what they should do if they get lost at the store, they often describe going outside and looking for their parents' car. They don't know how to dial 911 if there's an emergency. They don't know that they tell their parents right away if another adult asks them to keep a secret. Within a year of joining, most of my Burbank martial arts kids can answer every single question correctly without hesitation. And they can physically and vocally demonstrate how to fight off a kidnapper or dangerous adult." - Sifu Nancy Tei, Program Director of CA Academy of Martial Arts where she teaches students self-defense using Wing Chun Kung Fu. Use the buddy system and know exactly where you are going. Do not wander or stroll. It's important to keep your eyes on your surroundings at all times. Stay in busy areas so if you feel something is going to happen to you, you can run towards populated areas or a store to ask for help. Only grown-ups help grown-ups. There's no reason an adult, specifically a stranger, would ask a child for help. Most importantly, always trust your gut instincts. Don't feel embarrassed to call for help if you feel like you're in a dangerous situation. Don't wait to enroll your family in self-defense classes. California Academy of Martial Arts has been teaching all ages 3 and up self-defense and martial arts using Wing Chun Kung Fu in the Los Angeles area for over 20 years. Free trials are offered daily -- contact us at http://kungfuwingchun.com/contact-burbank-martial-arts/! The Wing Chun world is sad to announce that Sigung Chu Shong-tin passed away on Tuesday, July 29th. Sigung Chu Shong-tin earned a living on Hong Kong as a teenage restaurant bookkeeper -- the same restaurant Ip Man held classes in. After observing for quite some time, Chu began his formal training under him in 1951 and stayed under Ip Man's wing as a disciple until his passing. Famous for being Ip Man's third student, the 'King of Siu Lim Tao' has taught in Hong Kong and at the International Wing Chun Academy in Australia. As a matter of fact, C.A.M.A. Chief Instructor Sifu Tei's certificate from the Wing Chun Association was signed by Chu in addition to Ip Ching and the late Wong Shun Leung. 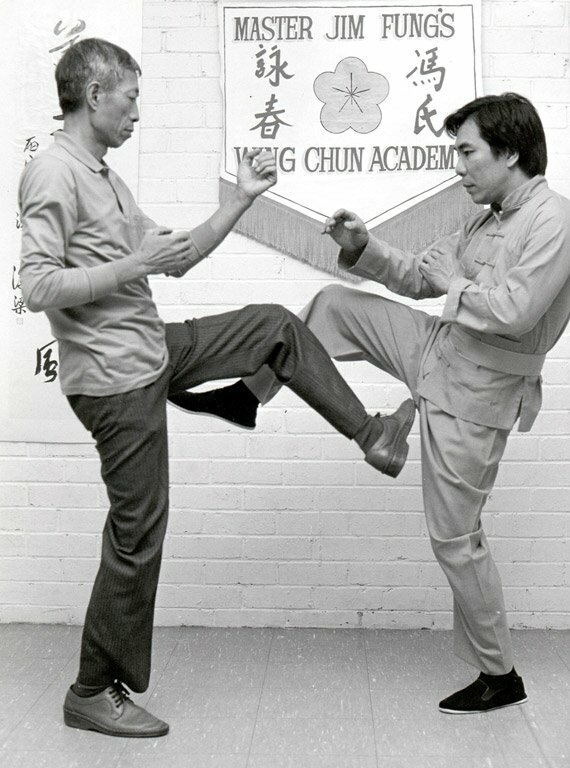 Chu's favorite form was Siu Lim Tao (Little Idea Form), the first Wing Chun form, which is taught to all of our Burbank martial arts students. Some Los Angeles parents drive 30 minutes each way to bring their kids ages 3-5 to our Little Pandas Kung Fu program, and they're happy to do it! Why? We offer our Little Pandas unparalleled benefits through a fun martial arts curriculum that teaches the life skills they need for elementary school and beyond. Check out more information about the Little Pandas program at http://www.kungfuwingchun.com/kids-martial-arts-burbank and schedule a free trial class today at the best Burbank martial arts school for kids. Here's what our Burbank martial arts kids practice on Tuesdays. 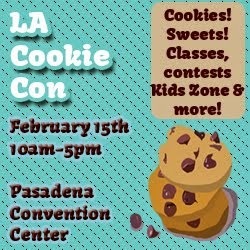 We offer classes for kids ages 3 and up and adults/teens. Give us a call at 818-843-7916 to start your Kung Fu journey today. Extend your right arm out and over your head. Kick your left foot up to the palm of your left hand 10 times. Repeat this drill on the opposite side by kicking your right foot to the palm of your left hand. Go into splits as low as you comfortably can and hold your position for 60 seconds. Practice splits twice a day and try to go lower each time until you're able to do the splits completely and comfortably. Spread your legs apart and squat down until your knees are at a 90 degree angle. Shift your weight to the right while extending your left leg. Hold 60 seconds. Shift your weight to the left side next while extending your right leg. Hold 60 seconds. You may also repeat this motion back and forth fairly quickly while keeping your feet in place for a more dynamic exercise. 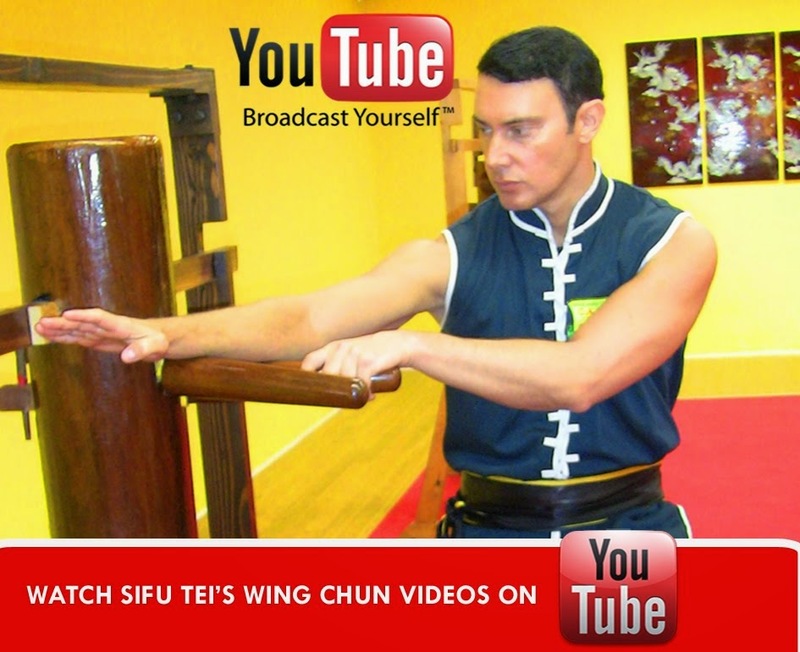 Now that you're all warmed up, check out these Wing Chun tutorial training videos from Sifu Tei and his instructors! What Does Wing Chun Mean in English? Wing Chun, meaning "beautiful springtime", is a Chinese martial art that was invented by a Shaolin nun named Ng Mui. The realistic and practical street-fighting style was named after Ng Mui's famous disciple, Yim Wing Chun. The fact that the inventor of Wing Chun was a female gives it a certain uniqueness apart from other martial art styles. Actually, this particular fact is the reason why Wing Chun focuses on redirecting an opponent's energy rather than fighting force against force (so size does not matter) and attacking the center line; AKA the weakest points on the body. The highlight of Wing Chun: simultaneous attack and defense; striking your opponent as you deflect his or her strikes. Wing Chun gained popularity in the United States after movie star Bruce Lee introduced it on film. Bruce Lee, who famously trained with the Wing Chun Grandmaster Ip Man, was a well-known martial arts fanatic and practitioner with admirable skill. Although there are a few variations of Wing Chun, the Ip Man lineage most reflects the original Wing Chun moves and philosophy to date. If you're interested in studying authentic Wing Chun, it's important to research the lineage and background to see which school is the best fit for you. Most martial arts schools offer trial classes for interested students. Burbank Wing Chun offers $20 introductory classes for Teens/Adults ready to try their hand at Wing Chun. 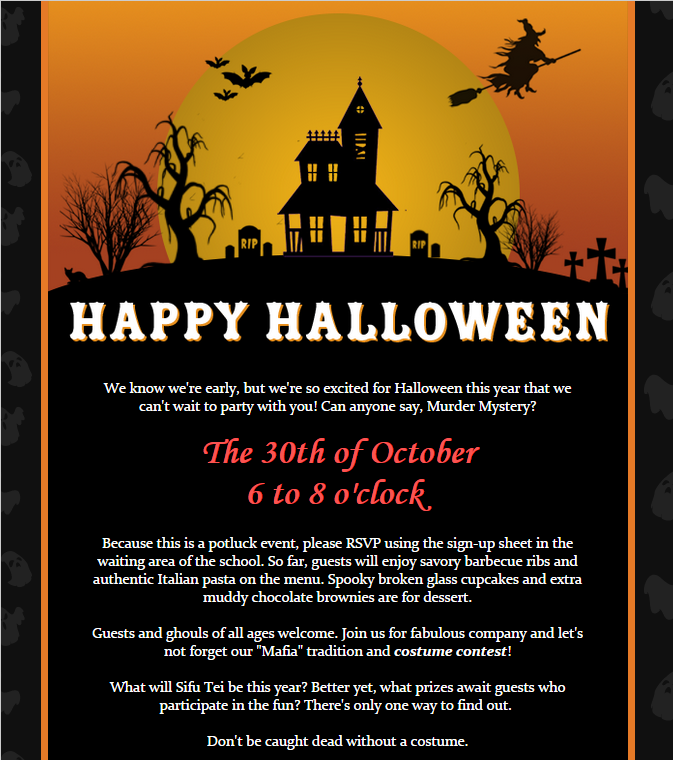 Contact us today for more information on how to get started. We're open 7 days a week!